Every good investigator does their homework previous to an investigtion. This was no exception. It was really fun finding out so much about the O&W which stands as a District Court House today. Please take the time to read a little of the history we found out about this place. Please know that the information will be just skimming the top here because of space availability. If you would like to know more. Email me and I'll gladly send you the information. Be sure and scroll down for the photos, and evp captured while there. The New York, Ontario and Western Railway, were commonly known as the O&W or NYO&W, was a regional railroad with origins in 1868, lasting until 1957 when it was ordered liquidated by a US bankruptcy judge. At 8 pm on the evening of October 21, 1902, a notherbound train was approaching Preston Park when a wheel broke on a loaded hopper. The resulting wreck brought down 14 bents on the south end of the trestle and left a pile of splintered wood as well as being perched precariously on the edge of the bridge. A brakeman riding the tops was thrown to his death. Although cheap to manufacture cast iron wheels were a constant danger because their tendency to fracture and we can only wonder why they lasted as long as they did before they were finally outlawed in early 1950's. Less than a year later on August 11, 1903, a virtually identical pileup occurred in the same spot. This cause is not noted nor is there any mention of fatalities. The following year, on September 29, 1904, the crew of the 203, a P-class consolidation, pulled out of Preson Park siding thinking they had the right of track to Lakewood. They crossed the trestle and met the 217 headon in the rock cut south of the bridge. The momentum of the northbound train on the heavy grade caused the cars to drive the cistern on the tender off its frame and into the rear of the engine, killing the fireman on the 217. Further back, three trainman were thrown and seriously injured. Looking north through the rock cut at the south end of the trestle towards Preston Park in the distance. 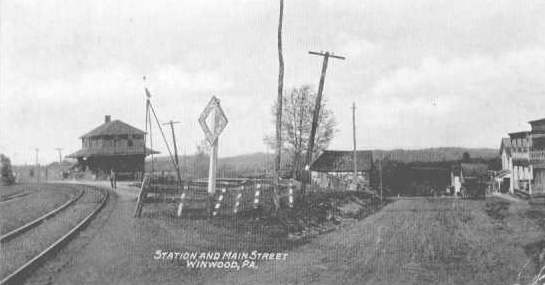 On dark winter nights it was most certainly haunted by the ghosts of past wreckes and memories of friends lost.Prior to 1910 Lakewood had been known as Winwood. The village was originally named Como, after the nearby lake of the same name. It assumed the name Inwood during the 1890's and then after the double tracking became Lakewood. The last railroad to enter the Lackawanna Valley was the New York Ontario & Western Railway, which terminated at Scranton. 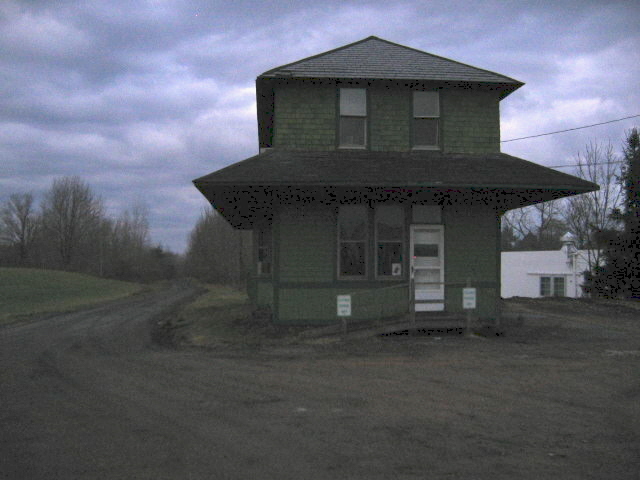 In 1980's, it opened it's Scranton Division, which ran from Cadosia, ny, near Hancock. The O&W carried coal. passengers, ice shipments and milk from stations at Lakewood, Starlight. Pleasant Mount, Poyntelle and Orson near Mt. Arrat. Two of the stations are still in use, serving as Town Halls at Starlight and Lakewood. The O&W later brought summer visitors to northern Wayne County. At Carbondale, the O&W faced opposition from the D&H and ran on an elevated bridge trestle through town. It's station was accessed by an elevator from street level. From its mines in the valley, the O&W soon became an important coal carrier to tidewater, and also to New England vis its Campbell Hall transfer to the New Haven Railroad. The O&W had a long history, surviving World War 2 when it served as a vital link in the victory for the Allies over the Axis. Those days saw a burst of troop trains, coal and freight shipments and military cargo going overseas. This photo was very interesting to us. Both Howard and myself felt "something" playing with our hair. 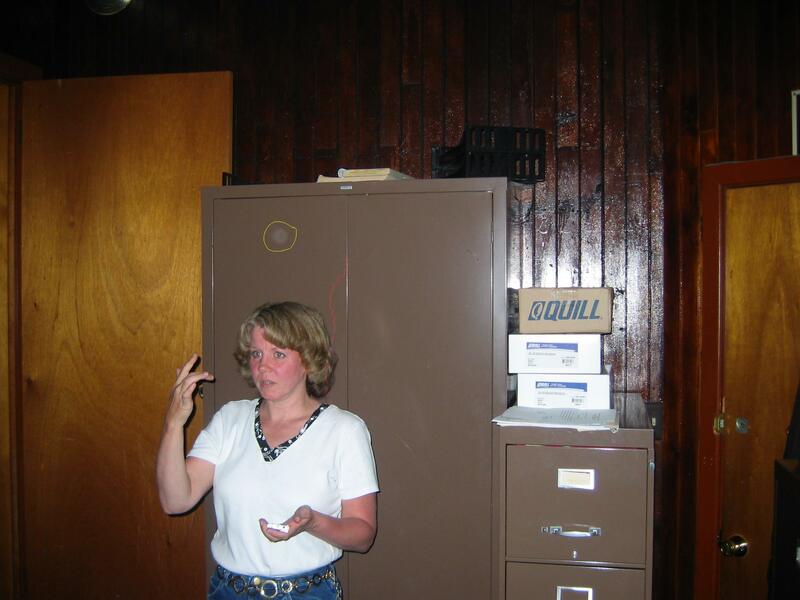 Howard captured an emf spike as well as an orb above my head in this photo. This one is already added to the EVP section. You can read about it there. This was taken at the RR Station. As you can tell we were rapping the investigation and gathering our belongings for the night. At one point my son mentions the flashlight. After that you will hear a faint drawn out "flashlight" as a response. As if the spirit is reminding us not to forget it. We did capture a few more EVP's but not putting them up here because of lack of space on this free site. More to come on our second site which is paid for so we have tons of space available there. This investigation was interesting. Most of the activity centered around the middle room. There are three rooms in all. The front room, middle room and back room. We were touched had EMF spikes and a few temp drops. Most of which was captured in the center room. The feeling of being watched was also present and felt by all of us at some point. 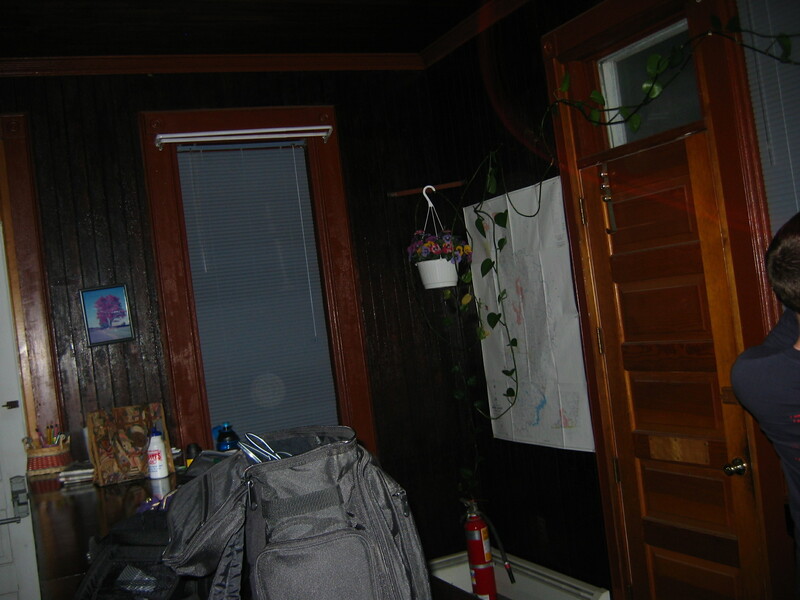 I couldn't not put this picture up here (orb on the window blinds) because of the circumstances surrounding it. Howard and I had been discussing the general feelings in the room. to Ken You can hear a man whisper "How" (this is our nickname for Howard around 00:15 in evp).There was also an EMF spike at the time.